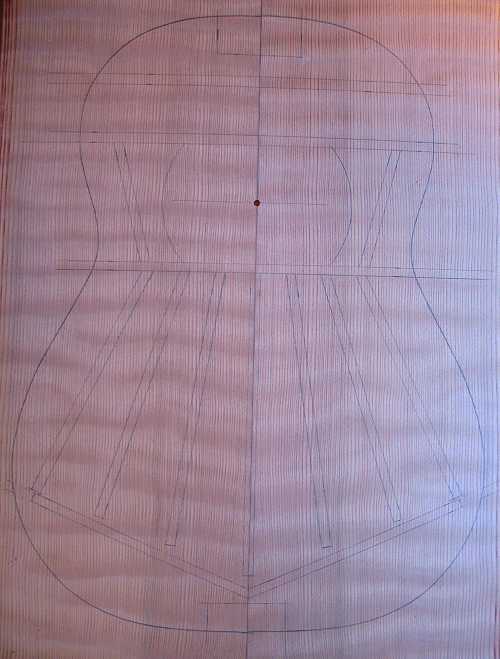 With the rosette inlaid and the top thickness-sanded to about 3mm, I could now begin working on the bracing for the top. 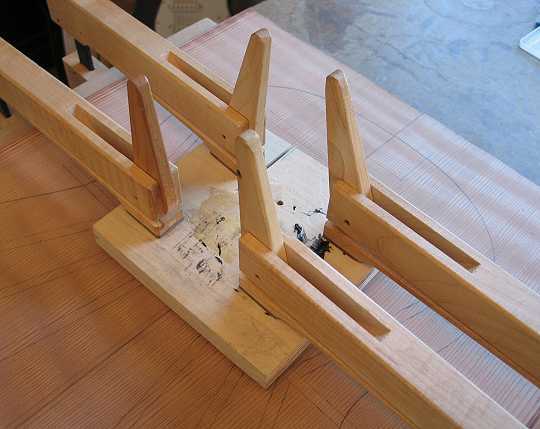 Here I have placed my bracing plan over the top, to mark the positions of the braces. Here's the top with the bracing plan marked out. 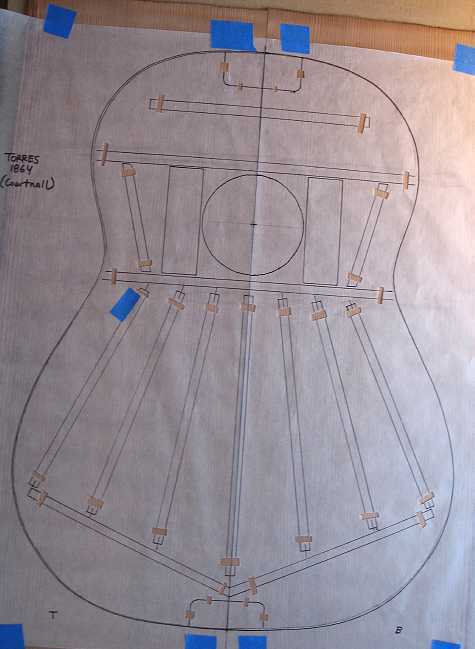 Notice that I am deviating from the original plan's two soundhole reinforcement braces, in favor of a soundhole reinforcement "donut" instead. 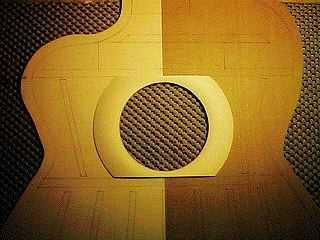 I don't know --- I just like the additional sturdiness that a soundhole donut gives. In much the same way that I had clamped the glued rosette down, I am here clamping the spruce soundhole reinforcement piece. Here it is, after I have removed the clamps. 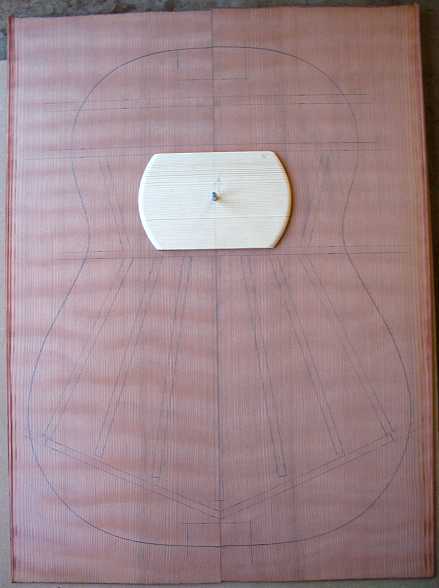 Later, I will rout out the soundhole and complete the shaping of the "donut" ring, to come out something like this.